If you’re looking for your next wine tasting excursion that doesn’t include the Napa or Sonoma, Paso Robles is calling your name. Located about 200 miles south of San Francisco, Paso Robles has made a name for itself primarily because of its award-wines, but also because it offers a historic downtown, delicious restaurants, and breathtaking views around each corner. With 200+ wineries, the options may seem a little overwhelming, so we've compiled our top 7 wineries the offer the best views around. Now all that's left to do is get there...and get ready to soak up the wine and soak in the beauty that surrounds you. Daou brothers created a little slice of Napa in the hills of Paso Robles Westside, but with much better views. Park at the bottom of the hill (unless you are a club member) and you will be whisked to the top of the mountain in an air-conditioned Mercedes mini-bus. DAOU wines are not cheap, but the quality rivals the best of Napa. The view at Daou is unparalled - creating the perfect place to soak in the incredible scenery as you savor their spectacular wine. Pictures are unable to truly reflect the beauty of this place, which means...you'll have to go in and see it for yourself! Until the arrival of DAOU, Calcareous had the #1 view in Paso. To visit, you will need to drive up winding roads and climb (in your car) the steep hill to get to this limestone plateau, but it is definitely worth it. Bring your picnic basket to enjoy a food and wine experience or just simply take your yourself and sip, relax and watch hawks flying above this expansive property. Calcareous has a nice variety of wines using grapes from both warmer Paso Robles and cooler York Mountain (high elevation and just 7 miles from the ocean). 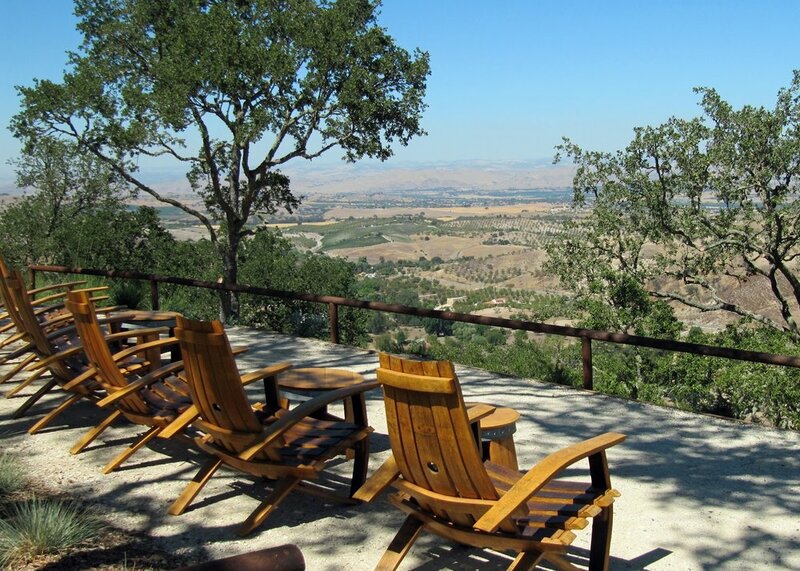 Le Cuvier offers yet another breathtaking hilltop view overlooking the the mountain ridge to the north of the town, and so close to downtown Paso Robles. With a name that variously translates from the French as “little barrel room, Le Cuvier's philosophy is small production (meager 3600 cases) and non-intervention by utilizing native yeasts, dry-farmed fruit and neutral barrel aging . It is also first Paso winery to offer food pairings as part of the standard tasting. Just off Hwy 46, Croad offers spectacular view of the Templeton Gap hills and vineyards across the road. The owners hail from New Zealand, so you might be lucky to arrive just in time for a "Kiwi Hour", which means 50% off the wine by the glass. Croad is a popular wedding destination as well, so for all of you looking for the perfect spot to say "I do".... look no further. In addition to the winery, they also have an inn located on the property, creating an true destination within Paso Robles' beautiful wine country. Niner's Heart Hill is one of the most photographed places in Paso Robles. The name tells it all: vineyard hill with a tree patch shaped as a heart. Is there a better place for a wedding proposal or celebration? The wines are spectacular too, coming from both the West and East side of Paso Robles, as well as estate Jaspersen Ranch Vineyard in coastal Edna Valley. They are also one of the 2 vineries here that make Carmenere, but it sells out fast. They also have a well-regarded restaurant on the property, serving lunch Th-Su 12-3 so visiting around lunch time to savor both the wine and food is highly recommended. This winery is not on the hilltop, but there is something majestic about it' pastoral settings. Halter Ranch facilities are brand new and blend extremely well into the surrounding vineyard and tree-covered hills just off Adelaide Road. They focus on Rhone varietals, but you will also find some other gems, like Tannat. Come on Saturday or Sunday to catch their complimentary winery and cave tours, offered several times a day. It gets busy, however, so be sure to make reservations in advance. The Eastside of Paso provides majestic rolling hills, studded by oak trees and covered by vineyards. Pear Valley has one the best views on the East Side, best viewed from their stunning 'wedding pad'. This family owned winery and vineyards offers a variety of wines including various reds, whites, dessert and port-style, as well as reserve. But the only way to snag these wines, outside of their website, is to savor and purchase on the property - so head over and get tasting! This article from GQ Magazine by THE EDITORS OF GQ spells out 20 New Rules of Drinking (and Buying) Wine that aren't so new to us here at SIP & SAVEUR. Why? BECAUSE WE DO WHAT WE WANT! But we think its great that GQ is letting everyone else in on these rules. Drinkers of the world, we are living in a full-blown bubbles bubble, with unprecedented quality, variety and accessibility fizzing in our coupes. From England to New Mexico, everybody's making sparklers - and everybody's drinking them - to the point where Ariel Arce can focus an entire bar, the rambunctious “underground champagne parlor” Riddling Widow in Manhattan, just on popping bottles. Master Sommelier Christopher Bates worked at world-class restaurants before opening F.L.X. Winery in the Finger Lakes, where he serves his favorite wines with burgers and dogs. 1. This is the producer, a.k.a. the winemaker. SIP & SAVEUR think you should always have a bottle or two from our favorite wineries like Belden Barns, Banshee, Lioco, and Idlewild. Your host will really be thankful and will guarantee you an invite to the next party. From amontillado we go to a much more contemporary sort of wine, grenache from California. Also known as garnacha in Spain, where the grape is thought to have originated, grenache has long been a part of the California equation. It was an essential component in old mixed black heritage vineyards, in which many different black grapes were planted and vinified all together. Over the last 30 years, I’ve seen a few good examples of California grenache, but it’s really been in the last decade or so that grenache has stepped out in California as an interesting wine with a great potential to evolve. Grenache is grown around the world, including the southern Rhône Valley, where it appears (sometimes alone and sometimes in blends) in Châteauneuf-du-Pape and Gigondas. In Catalonia, grenache is the backbone of Priorat and Montsant. The grape can be found in many other parts of Spain, in Sardinia and in Australia. Grenache wines must walk a narrow path. The grapes thrive in hot, dry places. But if too hot, and the grapes get overripe, the wines can be sweet, hot and dispiriting. If grown carefully and vinified without solely power in mind, grenache can be spicy, herbal and complex. Because of this balancing act, grenache is often blended with other grapes. They can add tannins, acidity and other characteristics that grenache lacks. But not always. Château Rayas, the great Châteauneuf that has become one of the world’s most coveted wines, is made entirely of grenache. As is often the case, these are small-production wines. But fear not. Other good examples come from Tablas Creek, Bonny Doon, Edmunds St. John, Ridge, Birichino, A Tribute to Grace, Skinner and Broc Cellars. Ask at a good wine shop for a California grenache or grenache blend, and you may find even more options. I will confess, the wines we will be drinking are new to me, so I’m not yet sure what I would serve with them. I would instinctively lean to beef or pork stews and braises, and simpler meaty dishes like sausages and burgers. I probably would avoid dishes that are overly spicy or delicate. See full article on NEW YORK TIMES. 1. Preheat the oven to 325°. In a small bowl, cover the dried porcini mushrooms with the boiling water. Allow to rehydrated for 15 minutes. Drain the mushrooms, reserving the soaking liquid, and set both aside. 2. In a large Dutch oven, heat the olive oil over medium-high heat. Season the brisket with salt and pepper. Sear the brisket, flipping once, until golden brown, 4 to 5 minutes per side. Transfer the brisket to a plate. 3. Add the reserved mushrooms, garlic, bay leaves, onion and rosemary to the pan, and cook until the onions are translucent, 8 to 10 minutes. Add the tomato paste and cook, stirring constantly, until caramelized, 2 minutes. 4. Add the reserved porcini liquid and the wine, and bring to a simmer. Cook until the liquid has nearly completely evaporated, 10 minutes. Add the chicken stock and the brisket back to the pan and bring to a boil. Cover the pot and transfer to the oven. Bake, flipping the brisket once halfway through cooking, until tender when pierced with a fork, 2½ to 3 hours. 5. Place the pot back on the stovetop and transfer the brisket to a cutting board. Bring the cooking liquid to a boil and reduce until thickened, 25 to 30 minutes. Meanwhile, let the brisket cool for 10 minutes, then thinly slice it against the grain. Once the cooking liquid is reduced, add the sliced brisket back to the pot to warm through. Transfer to a platter and garnish with chopped parsley, then serve. We suggest an elegant Syrah or an Old Vine Zinfandel to be paired with this beautiful beef brisket with porcini mushrooms recipe. Our Go-to when we're in the mood for cheese. If you have not experienced or tasted Cowgirl Creamery cheese then we hope that this video will motivate you to seek them out at your local cheese shops. If you're visiting the Bay Area make plans to visit them at the San Francisco Ferry Building or at Tomales Bay Foods. We love and highly recommend that you try their MT. TAM and RED HAWK cheese. Saturday, July 1, 2017, we hosted our inaugural event: an exclusive tasting of Roger-Constant Lemaire Champagne along our friend, Frances Brooks, owner of Amandus Wines. Amandus Wines is the exclusive importer and distributor of RC Lemaire Champagne in California. 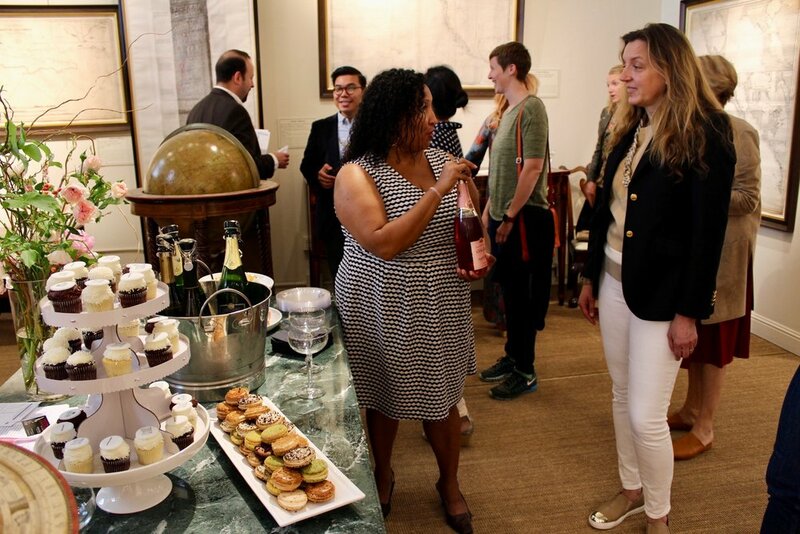 The event was held at Arader Galleries located on historic Jackson Street in San Francisco. This was our first official event for SIP & SAVEUR and we are thrilled that it was successful. Our invited guests were treated to some of the world’s most extraordinary champagnes by Roger-Constant Lemaire and exquisite tartines, quiche and dessert faire by a local bakery. 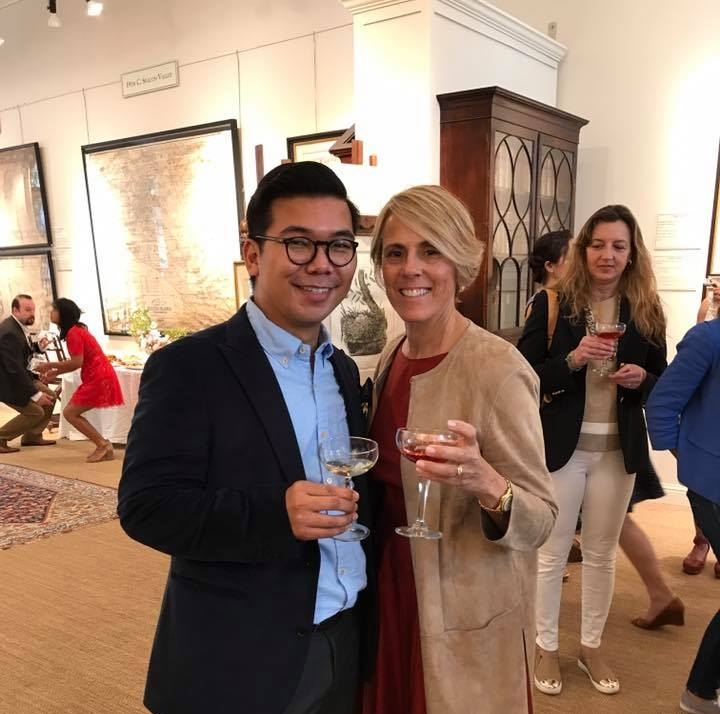 We are very thankful to Amandus Wines for giving us the opportunity to partner on such a wonderful event and to Josephine Arader of Arader Galleries for allowing us to host the event in her family’s transcending gallery. 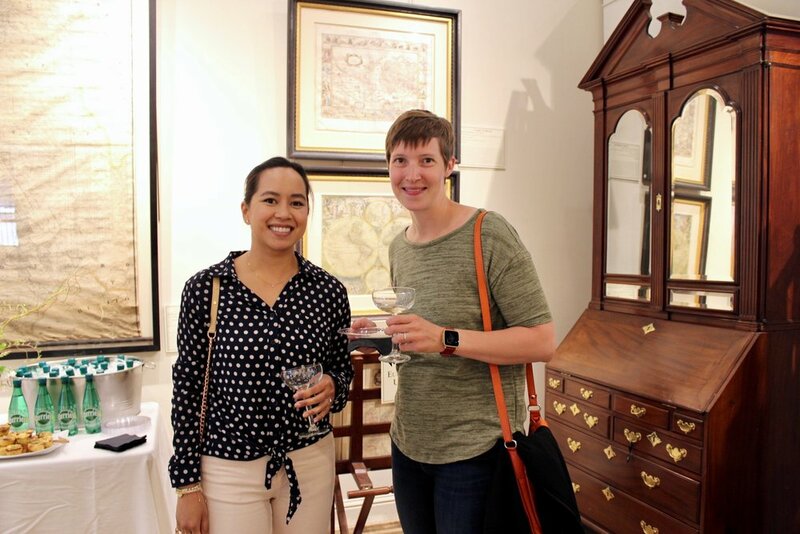 Our guests enjoyed being surrounded by the most beautiful vintage maps and botanical prints as they enjoyed sipping on world class champagne. Roger-Constant Lemaire Champagnes stand out as prestigious; they're rare, delicate, subtle and indulgent. The Roger-Constant Lemaire Family is proud of their ecological credentials and use only marine algae to protect their vines, canceling out the need for pesticides. The grapes are selected and harvested by hand, with only first press used in production. Vinification uses non malolactic fermentation methods to ensure a better quality of Champagne with its own natural acidity. The Champagne has an inherent sweetness allowing for the addition of only a very low dosage of cane sugar. All their champagnes are 12% alcohol by vol. The Lemaire family history began at the end of the 19th century in Hautvilliers, the birthplace of Champagne. 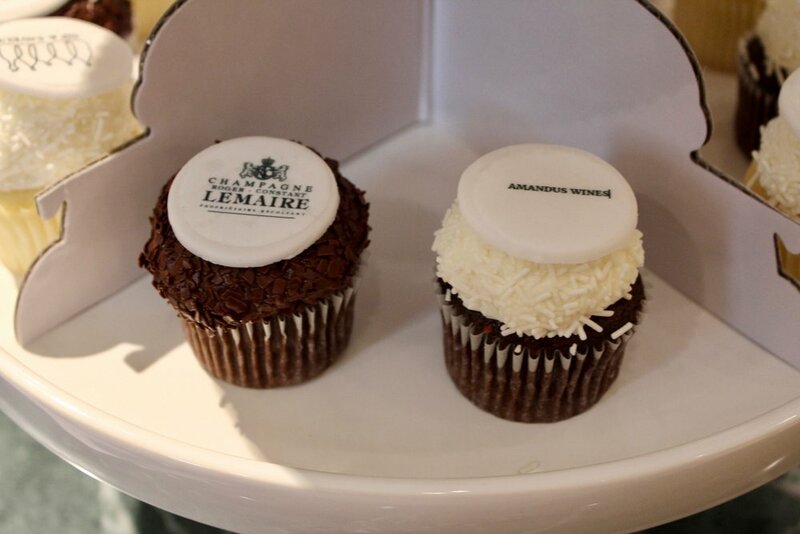 A family tradition was born when the patriarch, Désiré Lemaire, purchased what is now the Lemaire vineyards. The full vision was developed by his grandchild, Roger Constant Lemaire, who understood the importance of harmoniously blending the different grapes in order to create high quality champagne. In 1945, Roger doubled the size of the estate and relocated the family home and headquarters to Villers-sous-Châtillon. From just 30 acres, the family operated estate now exports all over the world under the name Roger-Constant Lemaire. Frances Brooks, founder and owner of Amandus Wines, met Roger and his family two years ago while on vacation in the heart of the Champagne region. She rented the family’s 18th century home in the village of Villers sous Châtillon home for the trip. While staying in the family’s home, she met Roger who spoke of their Champagne and that they were interested in breaking into the US market but did not have the budget for marketing. As fate allowed it, this meeting could not have been more than two great forces being brought together by the universe. With Frances’ background in advertising, she told the family she would be happy to help work with the marketing materials they already had. Roger informed Frances that they had a family friend in the Bay Area who would be her contact in the US. She offered to support the family and their friend while at the same time creating a new job opportunity for herself (in addition to her day job!). After not being able to get in touch with the family’s Bay Area contact for 3 months, Frances reported the breakdown in communication back to Roger. To her surprise and delight, Frances learned that they were no longer working with that person and needed someone to take over the role. Frances gladly offered to step in to the role as importer and distributor of Roger-Constant Lemaire Champagne in California. This, in turn, led to her new venture, Amandus Wines. Amandus Wines is now the exclusive importer and distributor of Roger-Constant Lemaire Champagne in California. Located just 52 miles North of the Golden Gate Bridge in the City of Sebastopol, Ca. in the heart of the Russian River Valley is Emeritus Vineyards. Emeritus Vineyards is on Hallberg Ranch, a 115-acre ranch property. What was once a prime apple orchard is now a Pinot Noir Vineyard owned by Proprietor Brice Cutrer who purchased the property in 1999. On our visit to Emeritus we were welcomed by Mari Jones, she greeted us with glasses of their 2015 Emeritus Vineyards, Ruby Ruby Rosé Saignée before we started our vineyard tour. The Ruby Ruby Rosé Saignée was light and refreshing after the warm drive from the East Bay. It had a beautiful color and it was aromatic. It was crisp with a great balance that made it light and refreshing with great notes on the palate. It was also close to being sold out when we visited and only available to their wine club members. Ermeritus Vineyards is one of California’s most distinguished dry-farmed vineyards and is widely known for their commitment in producing Pinot Noir with extraordinary quality. Wines are crafted around proprietor Brice Cutrer Jones’s philosophy that soil gives wine its character, climate gives wine its personality, and man gives the wine its spirit... style. The result is three Estate Grown and Bottled Pinot Noirs: Hallberg Ranch, Pinot Hill and William Wesley. It was a real honor to be invited to the Tastin’ France event organized by Business France, the French Trade Commission in North America. There, we were able to taste and experience wines from the main wine regions of France. The Tastin’ France event strives to promote and encourage the distribution of French wines and spirits in North America by introducing new product and increasing the presence of existing ones while at the same time fostering business opportunities and initiating network connections between industry professionals. The event was held at GALLERY 308, at Fort Mason in San Francisco which boasts panoramic views of San Francisco Bay and the Golden Gate Bridge. One of our favorite and most memorable people at the event was Bernard Bouteillon, the Export Manager for Vins Descombe. We reveled in his energy and enthusiasm for Vins Descombe and the wine in their portfolio. Bernard was very passionate and informative about the different wine regions of France, providing a valuable educational experience as well as some great wines! Though we wish we could have stopped by all 26 tables, it was necessary to pace ourselves over the course of this 4-hour afternoon. We absolutely have a greater appreciation of French wines after attending this event. We also learned that it is okay to serve lighter reds slightly chilled, which is often thought in California to be faux pas. As a matter of fact, it’s very French. Vive la France! 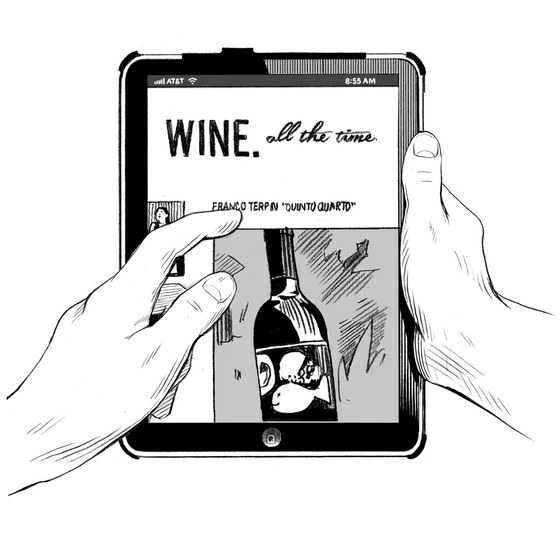 We enjoyed this guide to the 8 common types of wine By Madeline Puckette of winefolly.com. It is an easy guide of the top varieties that any wine novice can refer to before a day of wine tasting with any wine stiff neck. Friday, September 16th was International Grenache Day and we celebrated it in style with the Northern California chapter of the Rhone Rangers. The event was held at Two Shepherds winery in Windsor, CA. It was such an honor to have been invited by Kristie Tacey of Tessier Winery who also hosted us for a private tasting in Healdsburg before the event. William Allen of Two Shepherds was a gracious host! We tasted some great styles of Grenache and had the chance to meet most of the participating Rhone Rangers. Perhaps some don’t know that there are two types of Grenache: Grenache Noir and Grenache Blanc. Although Grenache Noir (the “red” one) is more common, it is mostly known as a blending grape. It is frequently found blended with the likes of Syrah and Tempranillo. Many producers blend Syrah into Grenache to achieve a darker color and a firmer tannin structure. But we love it on its own, especially as a rosé! Thank you to the Rhone Rangers for organizing this great event. They do good work, indeed! The Rhone Rangers are the leading non-profit organization in the U.S. dedicated to promoting American Rhone varietal wines. American “Rhone-style” wines are made from the same grapes that flourished for centuries in France’s Rhone River Valley. These wines pair well with a wide range of food and rich flavors. We love to pair Grenache with highly spiced dishes, grilled meats, and sausages. Back From Our Summer Hiatus With A New Look! We apologize for not having new content all summer. We had so much fun that we forgot to put in the work! That said, we attended so many events, here is our attempt to get you caught up. First, we found a great Peruvian restaurant in Walnut Creek, CA called Parada. We really love it! After our first visit, we must have gone back three weekends in a row. The menu is just so fun and easy. Their cocktail list is equally fresh and lively. Given how much we love this place, it’s likely we’ll go back to do a more in-depth feature on Parada next time we’re out in Walnut Creek...stay tuned. For the Fourth of July Weekend, we attended the 10th Annual All American Zin Day. We discovered a great group of family winemakers that each make GREAT WINE! Family Wineries Dry Creek Cooperative Tasting Room consists of six locally and family owned wineries. Collier Falls Vineyard, Dashe Cellars, Forth Vineyards, Lago di Merlo Vineyards and Winery, Mietz Cellars, and Philip Staley Vineyard and Winery. The group of winemakers there are passionate about their wines and you see it in all they do to support one another with this joint venture. When you visit the tasting room, you’ll be able to taste more than 30 varietals and blends from the surrounding vineyards in Sonoma County. The tasting room is open seven days a week so when you’re in the area make sure to visit Family Wineries in Dry Creek and say Sip & Saveur sent you!! While next door, we visited our friends at Kokomo Winery who just opened their Members Only lounge that weekend. Leslie Hanson, our friend and tasting room lead, was able to get us access and we had the pleasure of meeting Randy Peters- a trailblazer in the wine industry. He poured us vintages from the Kokomo library and spent time talking to us about both the wine and the vineyards. It was such a pleasure to have been able to do that. Thanks Leslie! 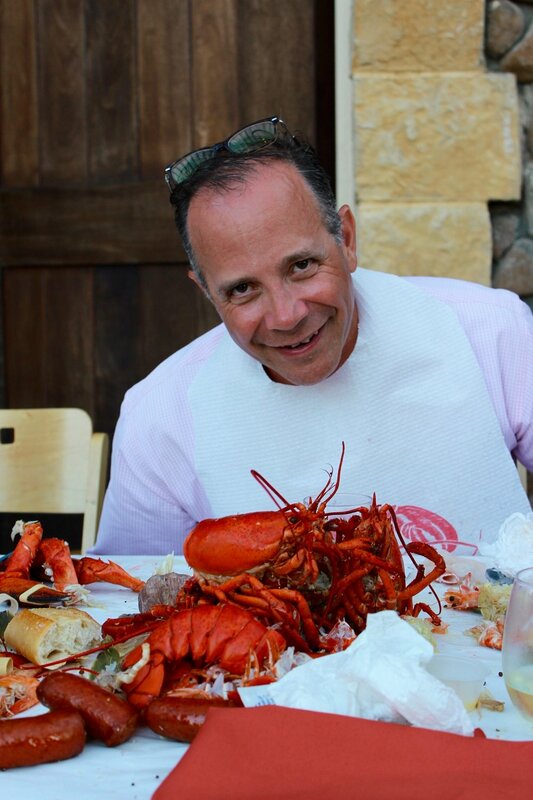 We were also spoiled rotten with lobster this summer! 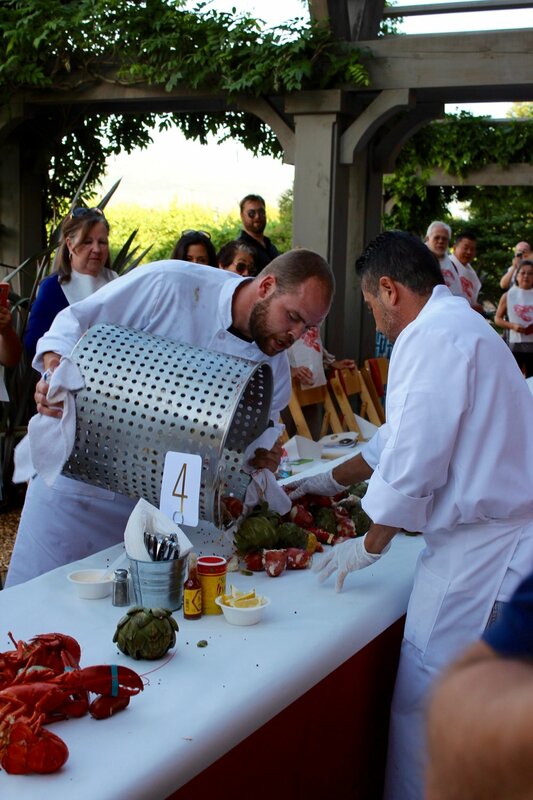 We attended two lobster feeds and who doesn't love a lobster feed!? The first was at Black Stallion Winery in Napa and the other, at “Suite D” of Girl & The Fig fame in Sonoma, was hosted by Walt Wines. The food at Black Stallion was deliciously prepared by Sorensen Catering and everything was amazing! The event started out with a welcoming reception where Black Stallion had cheese plates while pouring select wines on the patio. During dinner, they poured their 2014 Limited Release Poseidon Vineyard Los Carneros Chardonnay and Cabernet (don’t knock the pairing). We had the unexpected pleasure of meeting part of the Black Stallion family, Maché and Chris Indelicato. They were both super warm and friendly; we really enjoyed our chat with Maché. While there, we also met a couple of Maui “influencers” who flew in just for the event. Wow! Such a great evening with a very nice group of invited guests - mostly wine club members. It goes without saying that the Walt Wines feed was catered by Girl and the Fig. It was a daytime event that was so much more than lunch. Starting with plentiful charcuterie, this event was a release party for their Bob’s Ranch Chardonnay. It was aromatically intriguing and flavorful with a beautiful floral character. Both smooth and sweet (though not overly) there was a nice grip to pair with the lobster. On Sunday, August 21st, we attended the Family Winemakers Tasting in San Francisco. It forced us to miss the Healdsburg White Party with some of our other wine club friends, but we just couldn’t pass up this event in our own backyard for the second year in a row. It was held at the Cruise Terminal of Pier 27...a shockingly beautiful location! Hopefully Pinot Days location scouts will discover this gem as they seem to be playing around with locations. This event has been happening for the past 26 years and for the 121 wineries that were pouring at the event this has become a family tradition. A little about Family Winemakers of California; This is a great organization that advocates for the rights and interests of their members to produce, market and sell their products. They are dedicated to preserving the broad diversity of California wine. They have lobbied drink taxes, water issues, fees, warning labels, social media, labor issues, and farming regulations at the State Capitol and regulatory agencies. Because of this organization’s work, we are able to enjoy California wine all across the United States. During the event, we would’ve been able to taste forty-four varietals and blends (assuming we could make it!).. We obviously enjoyed tasting, but also enjoyed talking to all the people pouring. A frequent topic of conversation was the Chimney Fire and how the smoke may affect the surrounding Central Coast vineyards. Attending the event allowed us to meet new producers from Northern California and the Central Coast that we hadn’t been introduced to before. 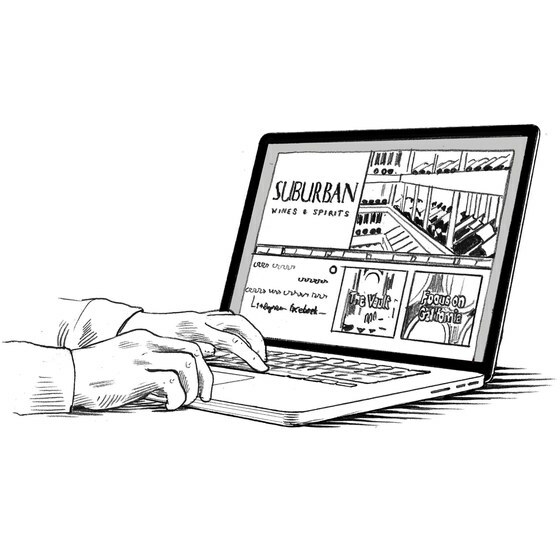 We particularly liked the connections we were able to make along with the wineries that expressed a legitimate interest in SIP & SAVEUR…we’ve begun reaching out and visiting some, though there are obviously many long overdue e-mails to come. On Monday, August 22nd, we attended Wines of Danger for the first time. This trade and media tasting was held at Mission Rock Resort in San Francisco. This event was a much smaller group compared to Family Winemakers, only seventeen California wineries spanning from El Dorado County to the Central Coast. We really like attending this event because it was really intimate and gave us more time to spend with, in many cases, the individual owner/winemaker - as opposed to the marketing/PR or tasting room staff you get at most other events (not that it’s a bad thing). Being new to this particularly close-knit group, we didn’t know too many people, but we were thrilled to the newbies as we were welcomed with open arms, wine and some of the freshest oysters you’ve ever had. Shout out to Mission Rock Resort! Following such events, we would usually list our standout wineries here; but instead, we’re going to do it a little differently this time. We intend to honor these standouts with their own entire write-up once a more personal visit occurs (one has already taken place...you know who you are!). The last event we attended for the summer was EAT DRINK SF at the Fort Mason Center Festival Pavilion. This was a 3-day event, but we only attended the Sunday, August 28th tasting. If you love food - and when we say food, we mean GOOD food - then you have check out this event next year you’ve never been! EAT DRINK SF is a truly magical experience, featuring the work of more than 160 chefs and restaurants and unlimited pours from local beverage purveyors in San Francisco Bay Area. EAT DRINK SF is one food event that you definitely need to attend with an empty stomach so you can taste through the entire line-up of top-tier Bay Area restaurants from some of the top chefs anywhere. We’re already looking forward to next year (and hoping the vegans won’t be protesting again)! To recap; we had a really busy summer and enjoyed a great deal of wine...but best of all, we met some really great people!! 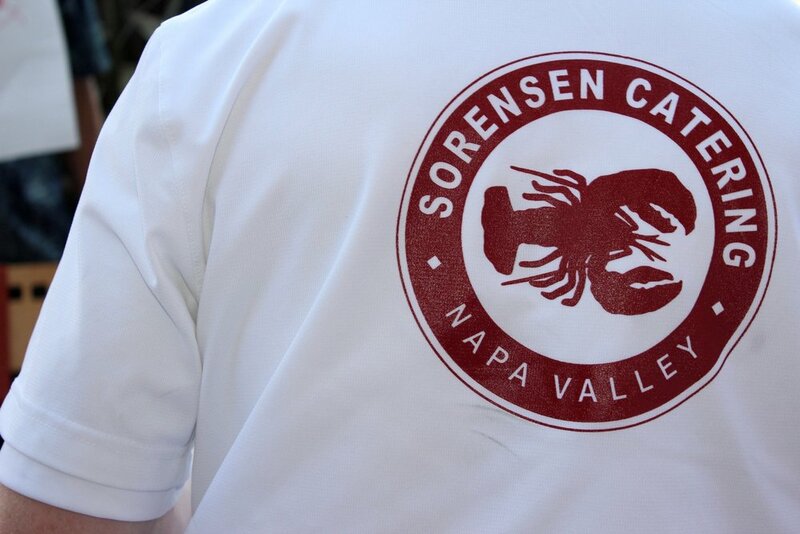 On Saturday, June 18th, SIP & SAVEUR attended its second Pinot Days event in San Francisco. This year it was held at the Bespoke at Westfield (though most people we talked to preferred the Metreon location of last year’s event). Pinot Days San Francisco has become the largest single gathering of Pinot Noir producers in the world. It allows local vineyards and winemakers who produce award-winning Pinot Noir to be in the light and on a much-deserved pedestal. Gracianna out of Healdsburg, California. Gracianna is owned by the Amador Family who named their winery after the family’s maternal grandmother, Gracianna Lasaga. The Amador family takes pride in providing an ultra-premium wine experience for wine lovers who enjoy a bottle of their wines. We found Seth and the others working their table to be super-friendly. Davis Bynum was another one of our favorites this year. Kristen Mowforth and her partner-in-crime were both very friendly, warm and fun. It made experiencing the pinot noirs from Davis Bynum that much more enjoyable. The Davis Bynum Pinot Noir had a beautiful ruby red hue with cherry, tea leaves and dusty oak in the nose. It had vanilla, dark chocolate, cherries and red plums on the palate. It was bright and full of flavor. It is definitely a bottle of Pinot that you would want to have with friends over a delightful spread of cheeses and beautiful charcuterie to be enjoyed on a warm summer afternoon. O’Connor Vineyards out of Sebastopol in Sonoma County was one of the first tasting we did during the event and is one of our most memorable standouts from this year’s Pinot Days. O’Connor Vineyard produced their first Pinot Noir in 2005 with the fruits from their vineyard. The fruit from their O’Connor vineyard embodies the traits of the Green Valley sub-appellation of the Russian River Valley AVA, one of the world’s finest growing regions for Pinot Noir grapes. The O’Connor Pinot Noir was a standout because of its aromas and flavors of black cherry, cola, spice, toasty oak and dark chocolate characteristics that a great Pinot Noir should embody. Last (but not least! ), Belle Glos was our hands-down favorite from this year. Though we truly enjoyed all three Pinot Noirs poured by their Northern California Market Manager, Ashely Kent; the “Clark and Telephone” was a real standout for us. The “Clark and Telephone” is fresh, jammy and full of ripe black cherry, cranberry and gingerbread on the palate. It has the perfect balance of refreshing acidity, velvety tannins and a hint of toffee at the finish. We expect to stock up on this one soon! Driving through the rolling hills of Foxen Canyon Wine Trail, one will be transported back to California’s wild west. You will be enticed by the vast meadows and pristine landscapes with rolling hills, warm California sun and blue skies as the backdrop. Within these winding roads are many wineries and vineyards where you’ll find one of California’s Central Coast wine country staples, Fess Parker Winery & Vineyard. Fess Parker, an actor in the mid-1950s, was widely known as Davy Crockett in the Walt Disney miniseries of same name as well as his turn as Daniel Boone in the 1960s television series. Fess Parker first moved his family to Santa Barbara in the 1960s and started construction of a bluff top home. When heavy rains caused it to collapse onto the beach, he adjusted his plans and headed inland where he discovered the 714-acre Foxen Canyon ranch property. In 1989, Fess Parker, along with his son, Eli, and acclaimed enologist, Jed Steele, planted a 5-acre experimental Riesling vineyard. Eli then planted more vines and started a four-year project to build his family’s legacy in the wine industry to what it is today as Fess Parker Winery & Vineyard. Today, the Fess Parker Winery & Vineyard is located on a 400-acre Foxen Canyon Road estate and is still a true inspiration of the American Dream while it remains a family-owned business. Eli Parker and his sister, Ashley Parker Snider, continue their family’s legacy as stewards of the family’s vision for the winery. Ashley’s husband, Tim Snider, serves as the President and oversees the day-to-day operations. The family’s vineyard is the 120-acre Rodney’s Vineyard, named after Fess Parker’s late son-in-law. The family also sources grapes from Camp Four vineyard in the heart of the Santa Ynez Valley, which Parker planted in 1998 as well as vineyards in the cooler Santa Rita Hills and Santa Maria Valley appellations. Andre Tchelistcheff Winemaker of the Year winner, Blair Fox, assumed the role of head winemaker in 2005. A local to the area, Blair Fox started his winemaking career in Santa Barbara County and now does double-duty under his moniker, Blair Fox Cellars, where he explores his passion for Syrah and other Rhone varietals. We definitely recommend the Syrah and that you check out his own Los Olivos tasting room as well when you’re in the area. Under Fox, the winery sharpened its focus to produce more small-lot, vineyard-designate wines made from high-quality Rhone and Burgundian varietals, which have won awards in national wine competitions. We recommend that you visit the Fess Parker Winery & Vineyard when you are in the Los Olivos area. The tasting room is located at 6200 Foxen Canyon Road in Los Olivos, California. They offer several wine tasting experiences. For “red only” fans, we recommend you enjoy the enhanced Pinot flight outside. You can also visit fessparker.com to read about the different offerings. The tasting room staff are friendly and knowledgeable about the wine and the area. It is family friendly and yes, your “fur-child” can come too. We are looking forward to our next visit. Looking for a place to stay in Los Olives? There’s also the Fess Parker Wine Country Inn. The 11th Annual Lodi ZinFest was held on Saturday, May 14th, at Lodi Lake Park in Lodi, CA. This was our second time at the Lodi ZinFest and we remember it just as it was last year, great crowd and great Zinfandel from 40 Lodi wineries. Though we were not able to taste nearly the number of 200 handcrafted wines that were being poured, we discovered some real standouts among the ones we did taste. This year we attended the event with our friends from 1-on-1 Travels, John and Monique Storck. The festivities continued into Sunday with winery tours and open houses. We visited five of the wineries that we really enjoyed chatting with during the event at the park. We did revisits and picked up bottles to add to our collection. Our first stop was Harney Lane where the ZinFest celebration continued with music by Snap Jackson and more great wines. We did a revisit on their Lizzy James 2013 Old Vine Zinfandel and the 2013 Tempranillo that they poured at the park. We tasted off of their tasting list where were able to try the 2014 Albarino, 2014 Chardonnay, 2015 Dry Rosé, as well as their Lizzy James Zinfandel Port that is 100% Estate Grown and aged for 30 months in neutral oak barrels. We think that the Lizzy James Port is the epitome of the perfect port where it is just seductively sweet but not too sugary or syrupy. The thought of it just makes our mouths water. We left Harney Lane with a couple of bottles, including their California-style 2014 Chardonnay. Our second stop was Upstream Wines at Watts Winery & Vineyards. The live music performance there by Delia and Gage was great! We hope too see them again! We had the special privilege of tasting with the Owner and Head Winemaker, Craig Watts. He poured us their entire portfolio and it was great to hear from Craig himself about each wine. After the regular tasting, Craig poured us a glass of his Rosé Frizzante (which we had thoroughly enjoyed the day before!) and pointed us toward the garden where Delia Colorado-Rubio andGage Courtois were performing the latest top 40 hits. We truly appreciated that Delia and Gage were taking all of our requests which made it fun to dance and sing along. The Rosé Frizzante is a delicate sparkling rosé. It’s fragrant and delightfully full of raspberry, cherry and plum notes. It’s so refreshing and different that we encourage all our readers to visit the Upstream/Watts tasting room and pick up a case. We promise you’ll love it and, of course, make sure to buy a bottle or two of their other wines as well!! Also, make sure to say hi to Craig Watts and his team and if possible request a tasting with Ellen, who was such a burst of colorful energy and really added to why we had such a great time during our first visit. We left Upstream/Watts with our very own case of the Rosé Frizzante (under the new Mundo del Sol label) and couldn’t be happier! Peirano Estate Vineyards was our third stop of the day. We were welcomed with warm smiles from everyone in the tasting room. By this time, we were really hungry and – thankfully – they had delicious savory appetizers that paired nicely with their legendary wines. Also included in their spread was some great cheese(s) from Fiscalini Cheese Company. Gypsy guitarist, Nicholas Liefler, played ambient music which added to the relaxing afternoon as we sat in the garden sipping wine with appetizers and enjoying the vineyard. They, too, had great case deals for the day and we “walked” home with a case of their adventurous Chardonnay, “the Other” White Blend, described as tastefully seductive and sensually delicious. The label alone is worth a look! Aside from their “Immortal” Zin, we also really enjoyed the 2013 Sauvignon Blanc – which was on “Zinfest special” for the day as well. Our last two stops were Lodi Vintners and Oak Ridge Winery. The Lodi Vintners tasting room was nice, though it had seemingly been a long Zinfest weekend for some. We were able to reconnect with their Consumer Direct Manager, Dennis Fagundes, whom we had chatted with the day before and he kindly carved out a space for us at the tasting bar while enthusiastically guiding our tasting experience. At Oak Ridge Winery, Lodi’s oldest operating winery (since 1934), the staff greeted us with warm hellos as we entered the 50,000 gallon redwood tank that doubles as their tasting room. The staff was genuinely excited to hear about the event at the park where we met their Graphic Designer, Nicole. Originally started by a cooperative of local growers, the family-owned passion and pride in their heritage very obviously continues. The energy was great and it made for an enjoyable first time in their tasting room – we’ll be back for more “Ancient Vine” Zin! Overall, the wines we tasted from Lodi held their own to the best of Napa and Sonoma. There is a rich viticulture history in Lodi and we hope to explore it in depth with our future visits to this appellation. Thanks to LoCA for putting together the Lodi ZinFest! We had fun at our first Lodi Zinfest and are definitely glad that we came back for our second time! This is sure to be an annual event for SIP & SAVEUR and we look forward to all our readers joining us next year! Just east of San Francisco, in the town of Alameda, is the Rock Wall Wine Company. The Rock Wall Wine Company is located in the historic Alameda Naval Air Base. Started by the Rosenblum Family, Kent Rosenblum was the founder and winemaker for Rosenblum Winery. With 35 years of winemaking experience, he grew the business from 400 cases to a 250,000 cases a year venture. In 2008, Kent sold the Rosenblum Winery and started the Rock Wall Wine Company with daughter, Shauna, as the winemaker. “We wanted to go back to a family business that focused on great wines and having a good time,” says Kent. Today, Shauna heads up the cellar at the 25,000-case family venture, with Kent as CEO. The Rock Wall Wine Company’s facility is in Building 24, a 40,000 square-foot hanger that was retrofitted with state of the art winemaking equipment. The company’s name, Rock Wall, refers to the walls surrounding the Naval Air Base which are visible throughout the waterfront of the facility. Rock walls were built during WWII in the San Francisco Bay to protect the base from the Japanese air to sea torpedoes. The Rock Wall Wine Company’s ideal location allows Shauna and her team to be regionally centralized assuring that the fruits are soon handled and the process of making wine is started after they are picked from the vines. Rock Wall Wine Company sources their grapes from acclaimed vineyards throughout California. Cabernet Sauvignon from the Napa Valley, Zinfandel from Sonoma County, Petite Syrah from Contra Costa County and Chardonnay from the Santa Lucia Highlands. The different grape varietals allow Rock Wall Wine Company to produce award winning wines. The Rock Wall Wine Company offers its visitors and members a unique urban winery experience. The winery boasts clear views of the San Francisco skyline. Visit the Rock Wall Wine Company tasting room at 2301 Monarch St #300, Alameda, CA 94501 and their website at rockwallwines.com. The event (co-produced by Banshee Wines) featured new releases of rosé from seventeen Sonoma County wineries. It was such a lovely event with most attendees getting the memo to wear their pink frocks. The Barndiva waitstaff expertly passed small bites that paired nicely with the rosés – a favorite standout being the goat cheese croquettes with lavender honey. For those of you, like us!, who can’t wait for next year’s party, at least two wineries have upcoming events surrounding their own release(s) in May. Be sure to check out both Front Porch Farm (a plant sale is included in their party) as well as the release of Lumia – by famed winemaker Jessica Boone from Passalacqua, where her party will also be held. Please note that while there may be no cost to attend, these events do require an RSVP/reservation. For those of us who are thinking of starting your wine collection in the new year here are the guidelines from American wine and spirits columnist, Elin McCoy for Bloomberg Markets. If this is the year you want to start stockpiling excellent wines, here is what you must know to begin. Pricey lots from Sotheby’s auction of Don Stott’s collection. Please. Like many wine lovers, I started out haphazardly squirreling away a few prized reds and ended up with a disorganized mix of bottles and cases in a corner of my basement. I’ve become systematic about my quietly aging stash. There are plenty of reasons to collect. For example, there’s convenience in having fine wines on hand so you don’t need to dash out at the last minute in quest of serious bottles for a special dinner. And you save a lot by buying the better stuff when it’s young and cheap—and aging it yourself—rather than paying jacked-up-prices for hard-to-find mature examples. Buying wine is like buying art, except that you have to consume at least some of it along the way to enjoy it. So pick what you like. The only wines really worth collecting are ones you actually like to drink. Investment potential? Remember that wine isn’t as liquid (no pun intended) as stocks, and there are no guarantees that prices for your bottles will rise to bragging levels by the time you want to sell. Buy a bottle and try it before buying a case. But I wouldn’t advise buying more than two cases of any one wine. Why? Collectors’ tastes evolve. I’ve watched former cult cab fanatics sell off case after case at auction so they can splurge on their new passion, Burgundy. Invest in a temperature-controlled unit, keep an inventory of what you buy, and don’t forget to list the hoard on your insurance in case of power failure. There’s no point in keeping fine wines reposing in a fancy rack in the kitchen. Sadly, I’ve observed too many expensive reds displayed as decor and gradually destroyed because the temperature was too warm (a steady 55 degrees is ideal) or low humidity dried the corks. Invest in a temperature-controlled unit, keep an inventory of what you buy, and don’t forget to list it all on your insurance in case of power failure. Purchasing from a reliable merchant, or direct from a winery, is better than running off to an auction, at least when you’re starting out. And don’t be seduced by prices that are too good to be true. California retailer Premier Cru offered amazing deals on Bordeaux crus classes and is now being sued by angry customers who never got their wines. And Now … Where to Start? What to collect? Forget much-hyped trophies and hunt wines from regions that big, established collectors overlook. Pick a place you love (such as Provence) or wineries you’ve visited. Here’s my pick of a half-dozen regions that are undervalued today, in which it’s still possible to find older vintages at reasonable prices. California & Oregon: West Coast pinot noirs don’t turn up in auctions the way Napa Cabernets do, so some can still be had for under $50. Yet many have the balance and acidity to age. Look for the less-expensive bottlings from Kutch, Failla, Ceritas, and Knez (all from the Sonoma Coast and Anderson Valley) and from Eyrie from Oregon. Loire Valley: This is first-class collectible territory right now, with reds from Cabernet Franc and whites from Chenin Blanc that age brilliantly for up 30 years and sometimes more. Best-bet reds are from Chinon, Bourgueil, and Saumur-Champigny. such as Olga Raffault Chinon Les Picasses (current vintages $25, 1989 $75) and Catherine and Pierre Breton Bourgueil Les Perrières ($40, older vintages $80). (For dry whites, look for Savennières (Domaine du Closel), Montlouis (Jacky Blot), and Vouvray (Domaine Huet). Provence: The region isn’t just for rosé. Full-bodied reds from Bandol, east of Marseille, for example, are made primarily from Mourvedre and have the power and depth to last. The most elegant one is deep, intensely aromatic Château de Pibaron (current vintages $40, older vintages $65). Beaujolais: Reds from the crus of Moulin-à-Vent and Morgon, made from Gamay grown on granite soils, have weight and structure as well as rich fruit and can be as impressive and age-worthy as some Burgundies. Recent vintages 2014 and 2011 (along with 2005) are outstanding. Dynamite bottles come from Domaine du Vissoux (Moulin-à-Vent) and in Morgon, Domaines Louis-Claude Desvignes, Jean-Paul Thévenet, and Jean Foillard. Most current vintages are about $25. Rioja: This historic region in central Spain is noted for its long-lived reds, and many wineries regularly release elegant old vintages from the cobwebbed “cemeteries” in their cellars. One is CVNE (Compañía Vinícola del Norte de España), whose highly complex, smoky toned Imperial Gran Reserva (current $55, older $60 and up) and brighter, spicier Viña Real Gran Reserva (current $35, older $65 and up) are made mostly from Tempranillo. Germany: Why the Rieslings from this country are still so undervalued remains a mystery to me. These whites are bright, zippy, and food-friendly when young, and they develop amazing complexity after five to 10 and more years. I’ve had bottles from the 1920s that are still singing. Even the top “Grosses Gewächs” (grand cru) wines from such stellar producers as Keller, Dönnhoff, and Zilliken cost $25 to $50 a bottle.